The New Partnership for Africa’s Development (NEPAD) is a programme of the African Union (AU) adopted in Lusaka, Zambia in 2001. NEPAD is a radically new intervention, spearheaded by African leaders to pursue new priorities and approaches to the political and socio-economic transformation of Africa. 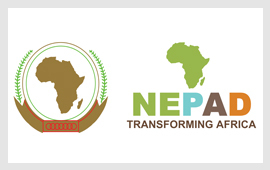 NEPAD’s objective is to enhance Africa’s growth, development and participation in the global economy. NEPAD is a radically new intervention, spearheaded by African leaders, to address critical challenges facing the continent: poverty, development and Africa’s marginalisation internationally. Created on 1 April 2016, the Trade Invest Africa’s initiative aims to be the arm of the dti that coordinates and implements South Africa’s economic strategy for Africa, premised on the Development Integration approach. The initiative will focus on advancing the priorities for Africa, set out in the Industrial Policy Action Plan (IPAP) and the National Export Strategy, as well as the opportunities uncovered through continental trade negotiations. Trade Invest Africa will create a closer working relationship between the South African Government and the private sector, to take advantage of export and investment opportunities on the African continent. Trade Invest Africa is mandated to contribute to increasing the levels of intra-Africa trade by facilitating South Africa’s exports of value-added goods and services, while creating sourcing relationships for imports from other African markets. Trade Invest Africa will facilitate for South African business all necessary services related to trade and investment on the African continent. The focus is specifically on medium to large export-ready companies that have identified the African continent as a key market for their products. Trade Invest Africa will assist these companies with market-entry strategies for markets in the rest of Africa.